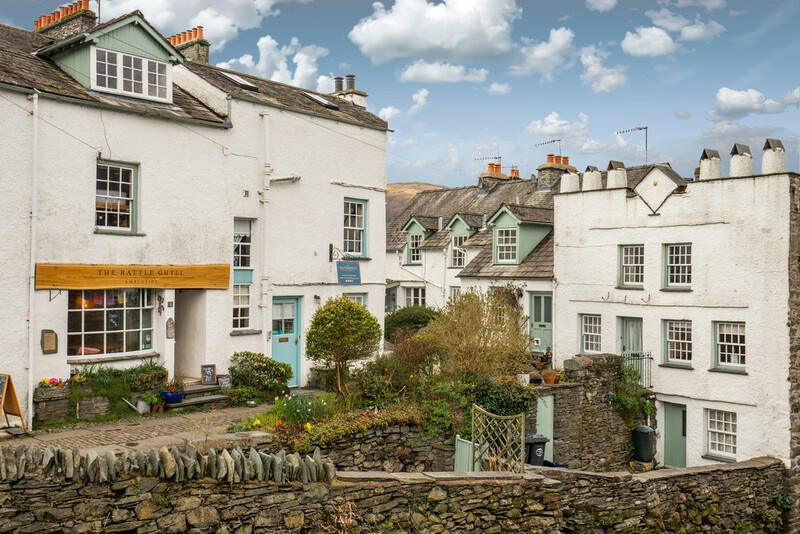 This is a fantastic opportunity to acquire the lease on a beautiful Grade 2 listed guesthouse with 3 en-suite letting bedrooms plus an en-suite owners bedroom in the picturesque heart of beautiful Ambleside. 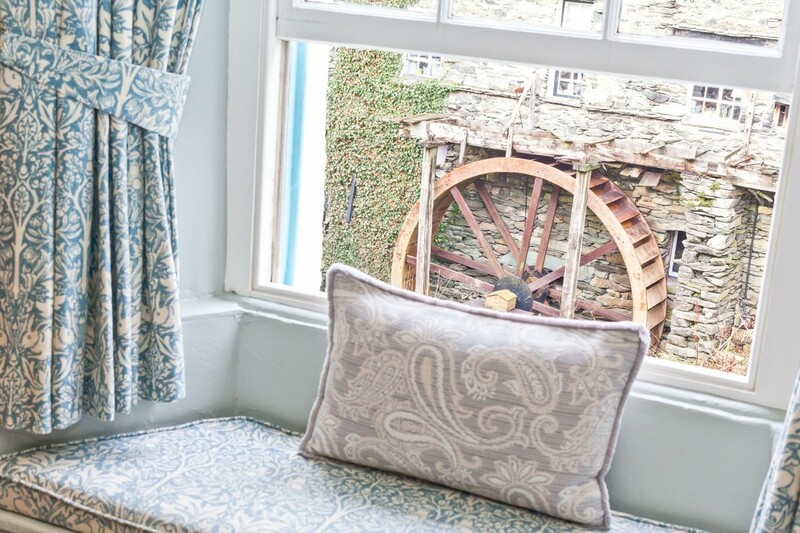 An absolute delight, The Waterwheel Guesthouse is believed to be over 300 years old and exudes antique charm and luxurious quality in equal measure – perfect for those seeking an idyllic lifestyle change at an affordable price with an annual rent of just £10,500. Full lease and landlord details available on request. 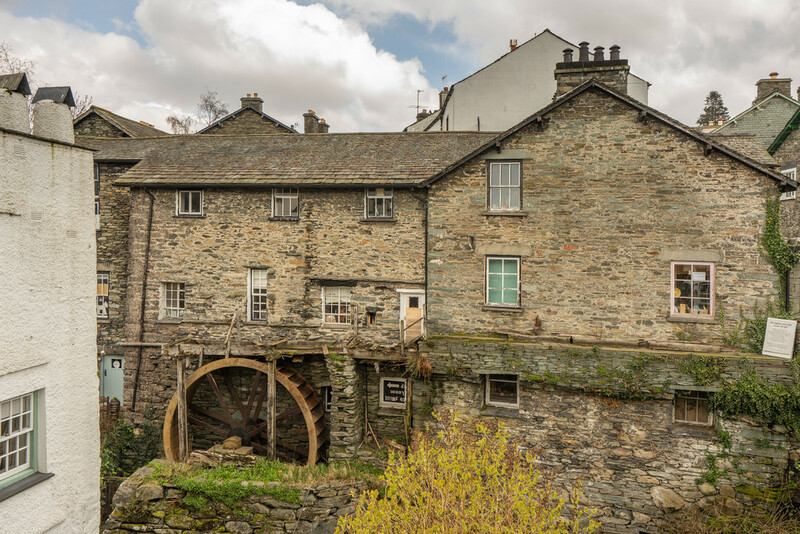 Location The Waterwheel Guesthouse is located very close to the centre of the town on Bridge Street overlooking Stock Ghyll and the waterwheel of The Old Mill opposite. 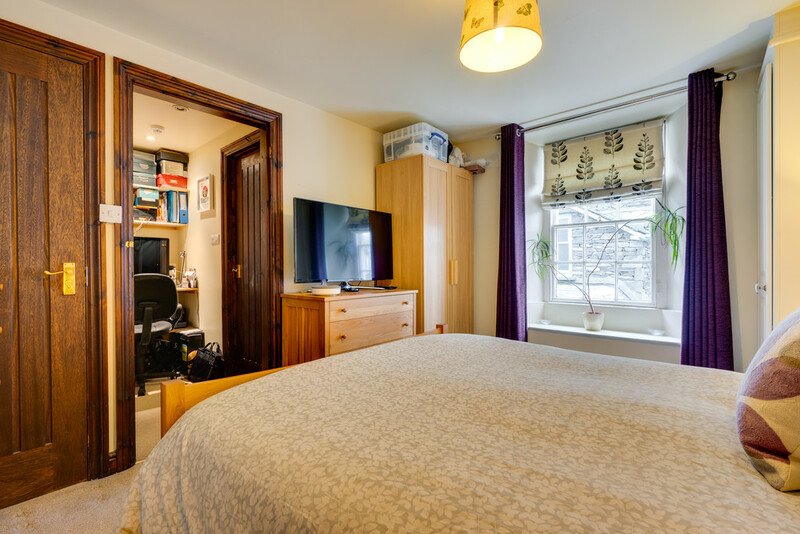 The property can be accessed on foot via the quaint archway to Bridge Street off Rydal Road which is almost immediately opposite Hackney & Leigh’s office or alternatively from North Road which links to Rydal Road at its junction next to the Post Office. 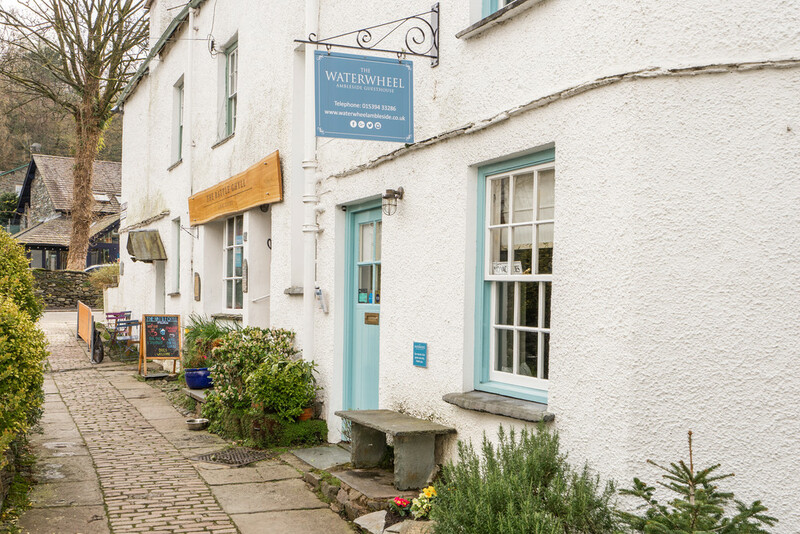 Description The Waterwheel Guesthouse is believed to be in the region of 300 years old, having humble origins as two back to back mill workers cottages. 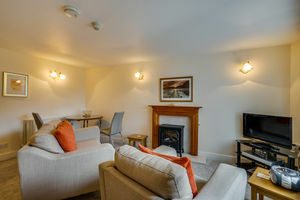 Over the years the original design has been seamlessly merged to create a delightful property offering boundless character and charm and an appeal that undoubtedly contributes to the splendid reviews on Booking.com and Trip Advisor as well as the frequency of repeating return bookings. 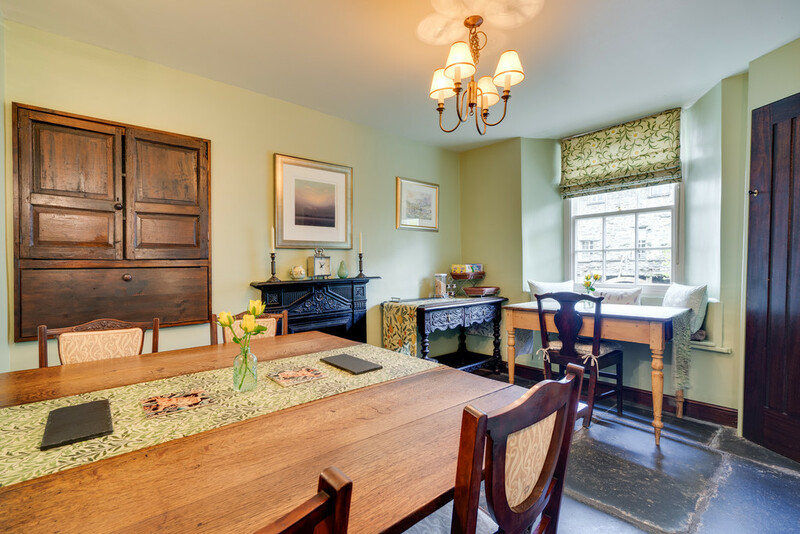 Sitting quietly overlooking Stockghyll and the Waterwheel opposite, this exquisite Guesthouse has a very distinctive and delightful appeal which sets it apart from its competitors and is stylishly presented and equipped. 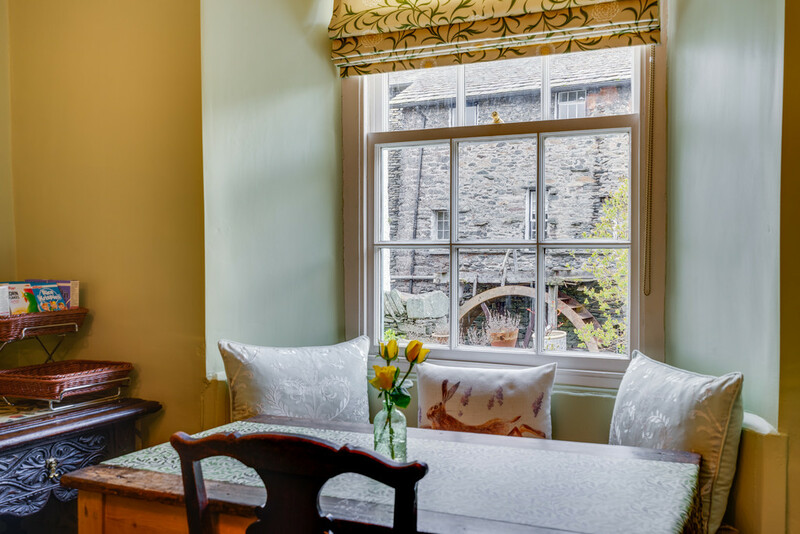 Many of the rooms enjoy lovely views over historic buildings or up over the rooftops to the surrounding fells and are perfectly presented for its target clientele who are seeking a little luxury and comfort in a quiet yet very convenient location. 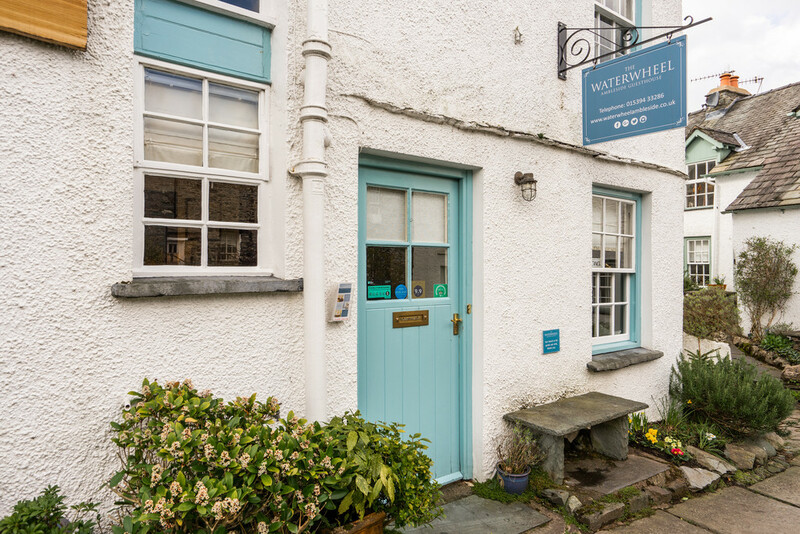 The Waterwheel Guesthouse very successfully combines both excellent letting accommodation and very comfortable private owners accommodation and is offered as a splendid and successful going concern. 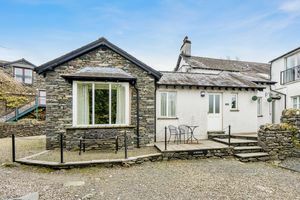 The property is perfectly placed in very peaceful surroundings and yet is literally just a few yards walk from the very centre of this thriving small Lake District market town. 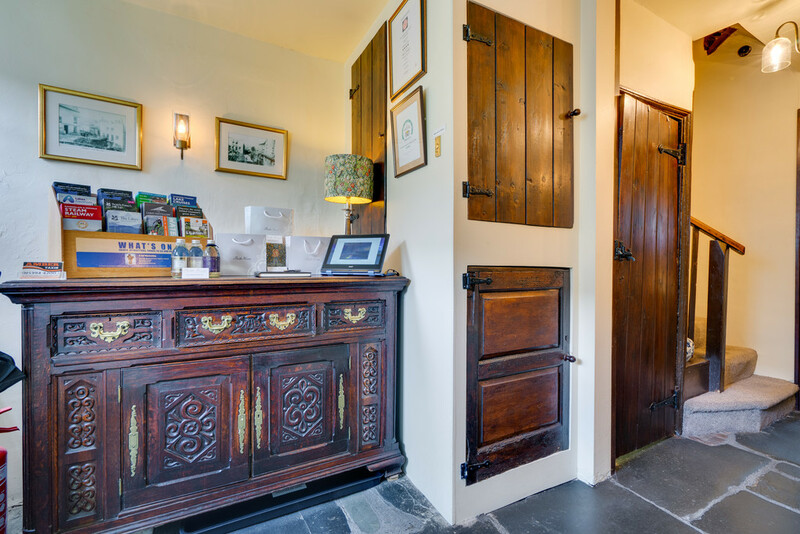 This easily run business is perfect for a couple seeking a more relaxed lifestyle in this beautiful setting in the heart of the English Lake District, which is now a Unesco World Heritage Site. 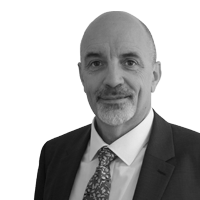 The current owners choose to operate for effectively just ten months of the year, enjoying a great work/life balance alongside an excellent and growing turnover currently in the region of £70,000 per annum. 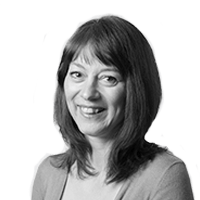 With more and more Brits likely to holiday in the UK over the coming years, and more foreign visitors attracted by the Unesco recognition there could scarcely be a better time to enter the hospitality trade. 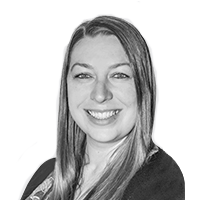 As a lease is being offered the business need not be burdened with stifling in-going costs making this a very attractive proposition. 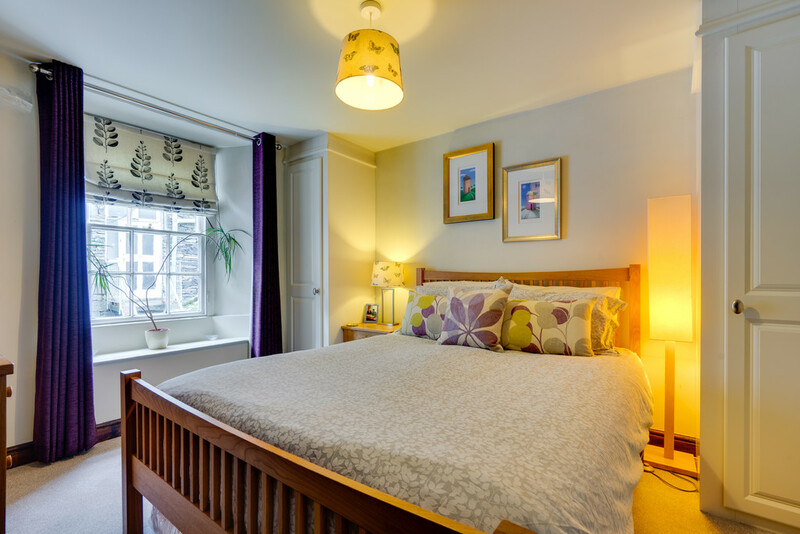 The current lease runs for 15 years from the 1st July 2009 at an existing rent of £10,500 per annum with the landlord taking responsibility for the maintenance and repair of the main walls, roof, rain water goods and main timbers. The Landlords, The Herd Lawson and Muriel Lawson Charitable Trust, are well known and highly regarded locally and are renowned for looking after both their tenants and the lease benefits from protected status obliging the landlords to grant the tenant a new lease, as long as the term are met. This is a superb opportunity to acquire a great little business as well as a lovely home in beautiful surroundings. 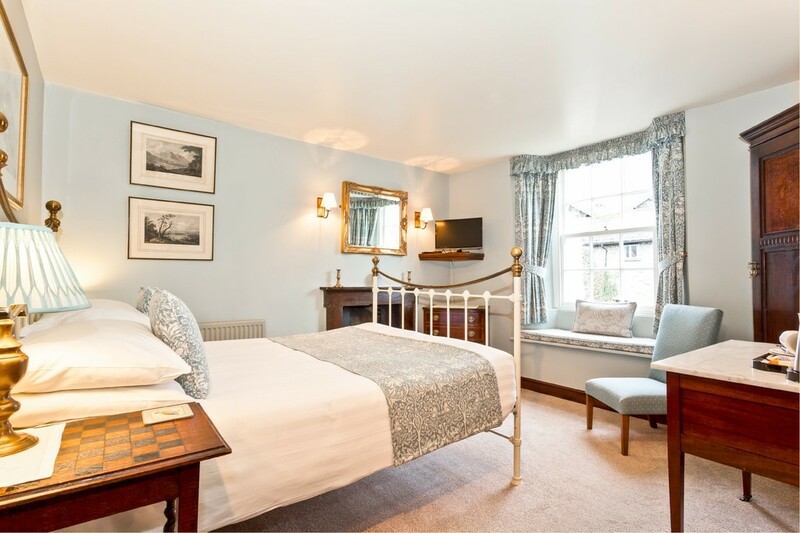 Those who view will not be disappointed and if any decide not to purchase they will no doubt be sorely tempted to enjoy a longer stay at this impeccably presented Guesthouse as a paying guest! 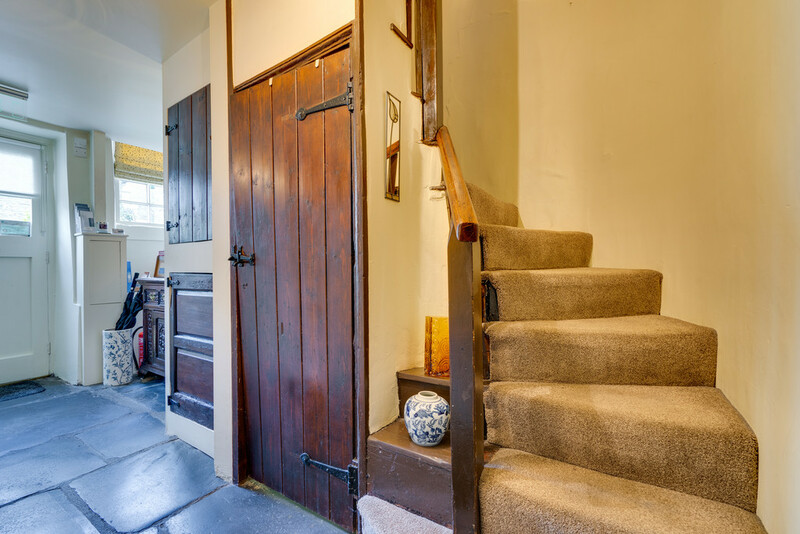 Entrance Hall Having a stone flagged floor and having lovely built-in cupboards and a door leading down to the cellar/utility room. 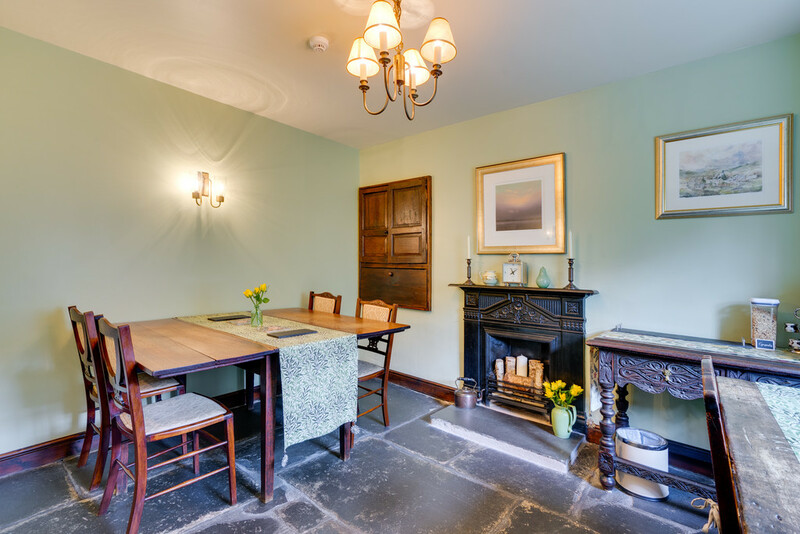 Guest Dining / Breakfast Room 11′ 5" x 10′ 4" (3.5m x 3.15m) Overlooking the waterwheel itself, this lovely breakfast room is full of original features including a stone flagged floor, an original cast iron fireplace with a slate hearth, a pretty window seat, a built-in larder cupboard and having a radiator. 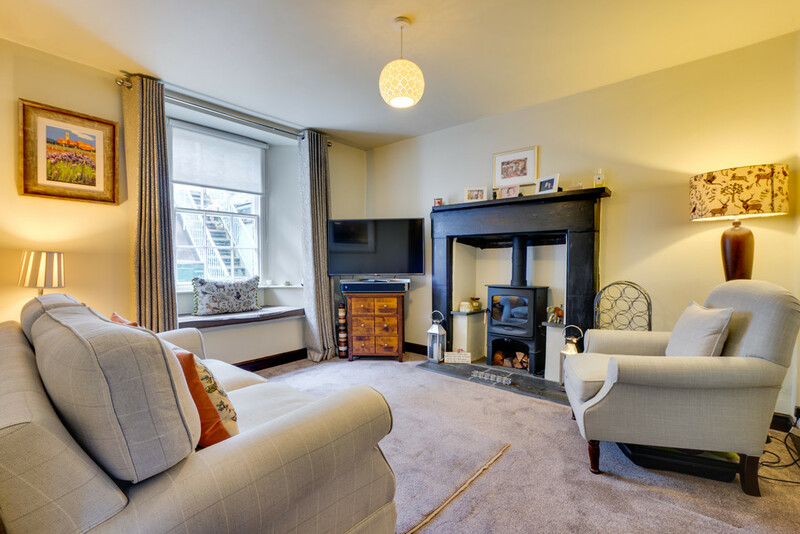 Private Sitting Room 11′ 7" x 10′ 2" (3.55m x 3.1m) Benefitting from a cosy log burning stove set on a slate hearth with stone mantle and surround and having a pretty window seat and a radiator. Kitchen 7′ 10" x 6′ 10" (2.4m x 2.1m) Having modern wall and base units with pelmet lighting and complimentary working surfaces incorporating a stainless steel bowl and a half sink unit with mixer tap, integral appliances including a Stoves oven with separate grill, a 4 ring gas hob and hood, John Lewis fridge and a Hotpoint dishwasher. 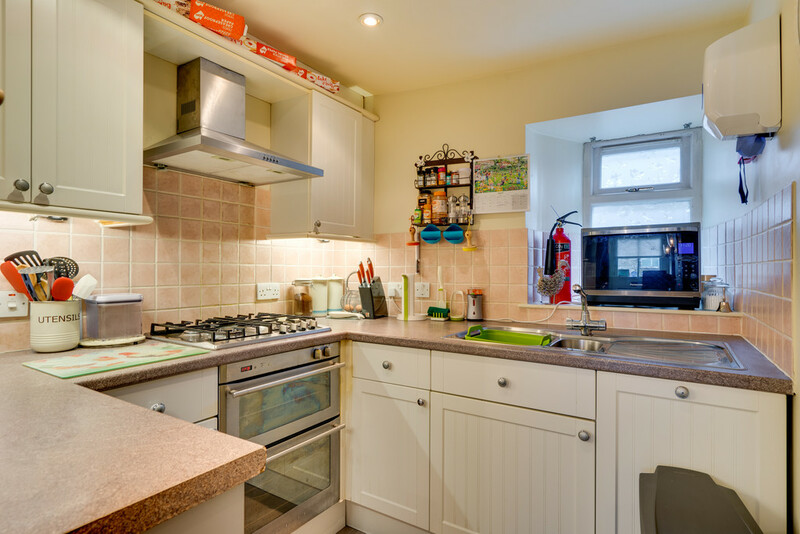 Cellar/Utility Room 11′ 3" x 8′ 10" (3.43m x 2.7m) With plumbing for an automatic washing machine, a freezer, an additional fridge, a tumble dryer, plenty of storage and housing the Valliant central heating boiler. Owners Bedroom (Bedroom 1) 11′ 8" x 10′ 1" (3.56m x 3.08m) With useful built in wardrobes and having a pretty window seat and a radiator. 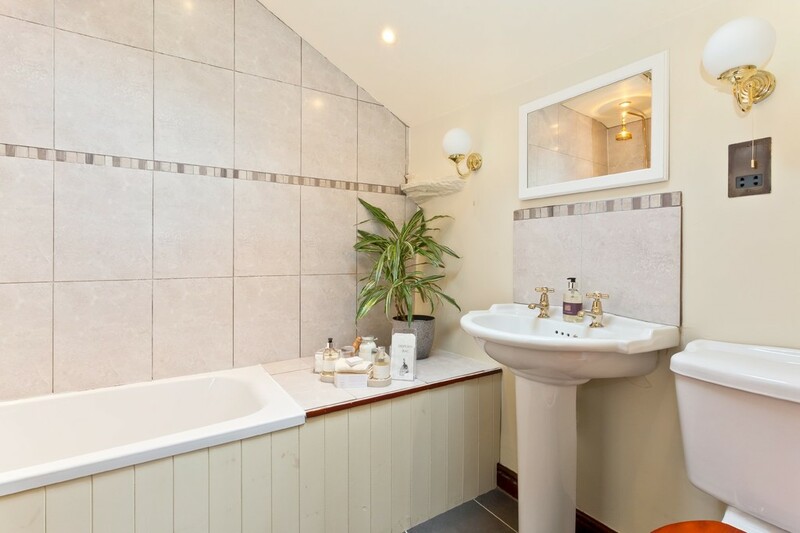 Owners En-suite Bathroom Having a 3 piece suite in white comprising a bath with a Colonial shower over with glazed screen, wash hand basin with vanity storage and a W.C. There is a chrome heated ladder style towel rail, shaver point, mirrored wall mounted medicine cabinet and an Icon Airflow extractor fan. 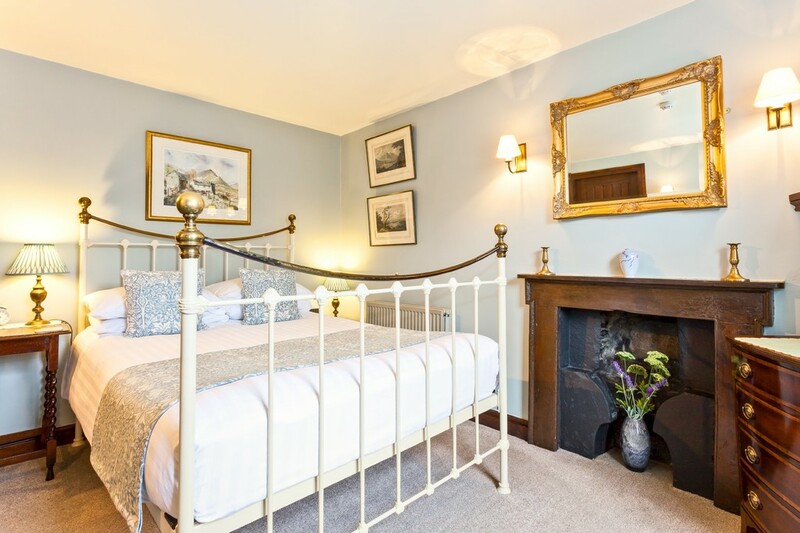 Stockghyll (Bedroom 2) 11′ 5" x 10′ 4" (3.48m x 3.16m) This delightful bedroom has an original stone fireplace with a timber surround and mantle and having a pretty window seat over looking Stockghyll and the Waterwheel and a radiator. En-suite Bathroom With a 3 piece suite comprising a clawfoot roll top bath with Heritage shower over, wash hand basin and Victorian style W.C. there are part tiled walls, tiled flooring with under floor heating, heated towel rail, shaver point, a built-in cupboard and an Icon Airflow extractor fan. Landing Having a light tube and a useful built-in cupboard with shelving which is perfect as a linen store. 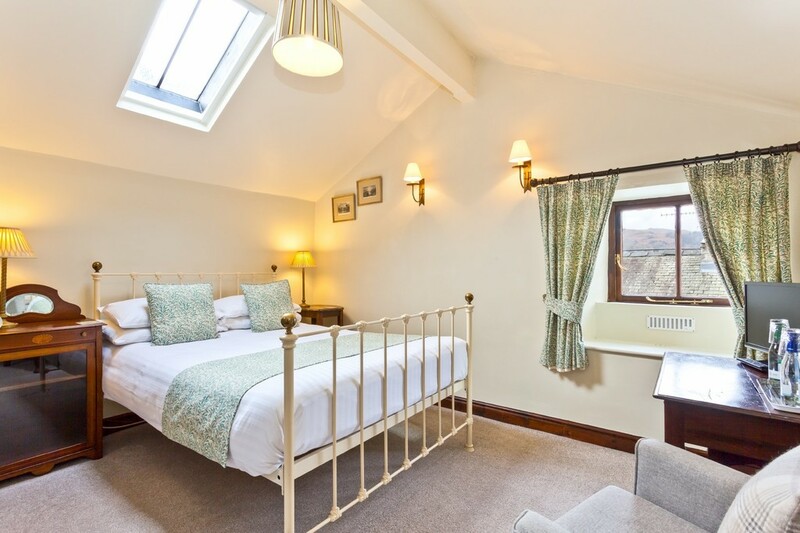 Loughrigg (Bedroom 3) 11′ 7" x 10′ 4" (3.55m x 3.15m) Enjoying lovely views over the rooftops towards Loughrigg and having a built-in wardrobe with drawer fitments, conservation sky light and a radiator. 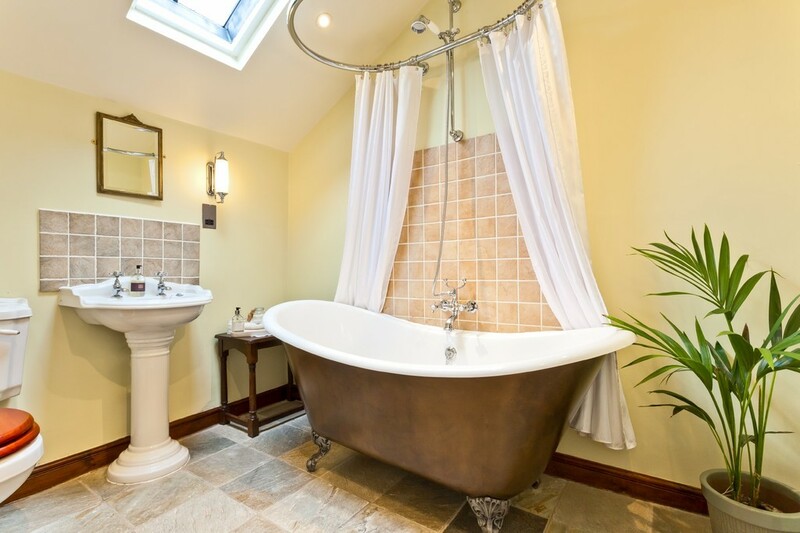 En-suite Bathroom With a 3 piece suite comprising a bath with a Heritage shower over, wash hand basin and W.C. 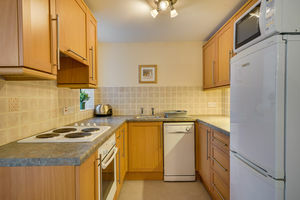 There are part tiled walls, tiled flooring, a shaver point, heated towel rail, Dimplex fan heater, conservation sky light and an Icon Airflow extractor fan. 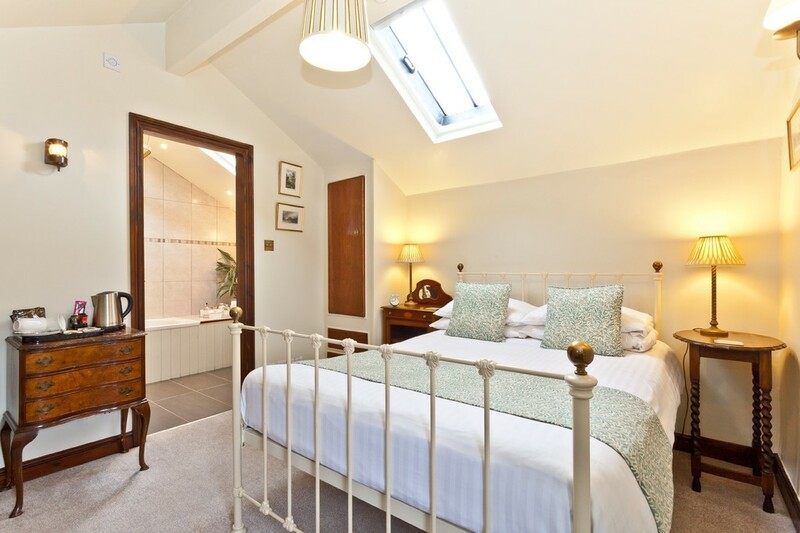 Rattleghyll (Bedroom 4) 10′ 11" x 10′ 4" (3.35m x 3.15m) A bright room with lovely views and having a built-in wardrobe, conservation sky light and a radiator. 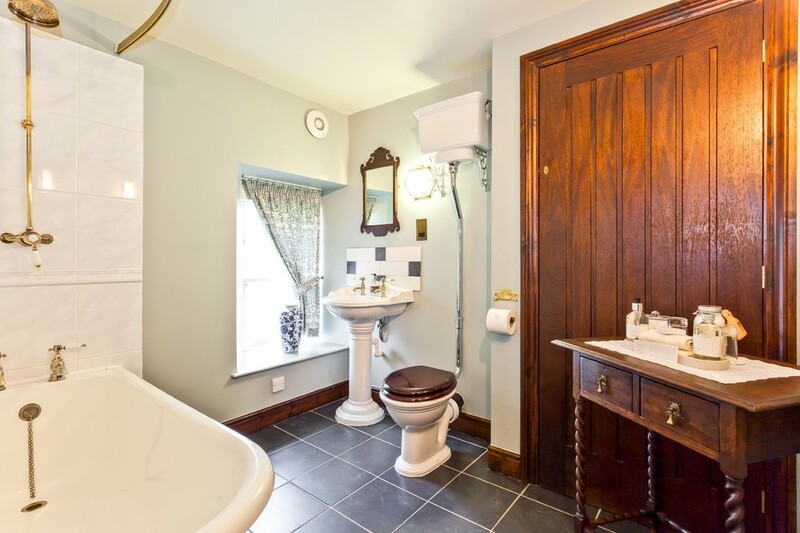 En-suite Bathroom With a 3 piece suite comprising a clawfoot roll top bath with mixer tap with Victorian shower attachment and chrome shower curtain ring over, a wash hand basin and a W.C. 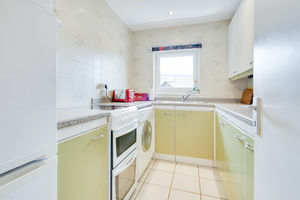 The walls are part tiled and there are tiled flooring with under floor heating, shaver point, heated towel rail, conservation sky light and an Icon Airflow extractor fan. Outside There is a pretty slate bench, small flower border and outside lighting to the front of the property. The property also benefits from having a wood store. Services Mains electricity, gas, water and drainage are connected. 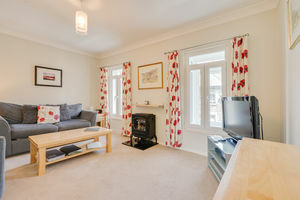 The property has gas fired central heating. Tenure An assignment of the existing 15 year lease is being offered. 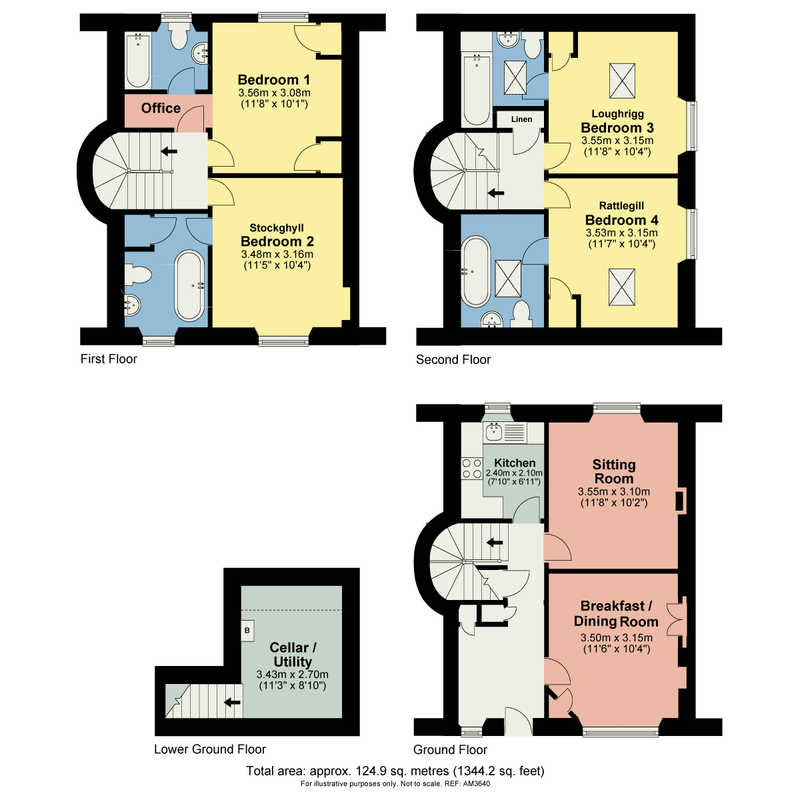 The lease commenced in 2009 and the current rent passing is understood to be £10,500 per annum. 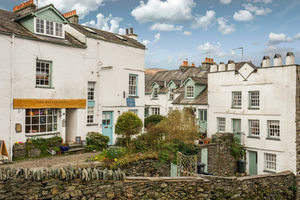 A copy of the lease is available from our Ambleside Office. 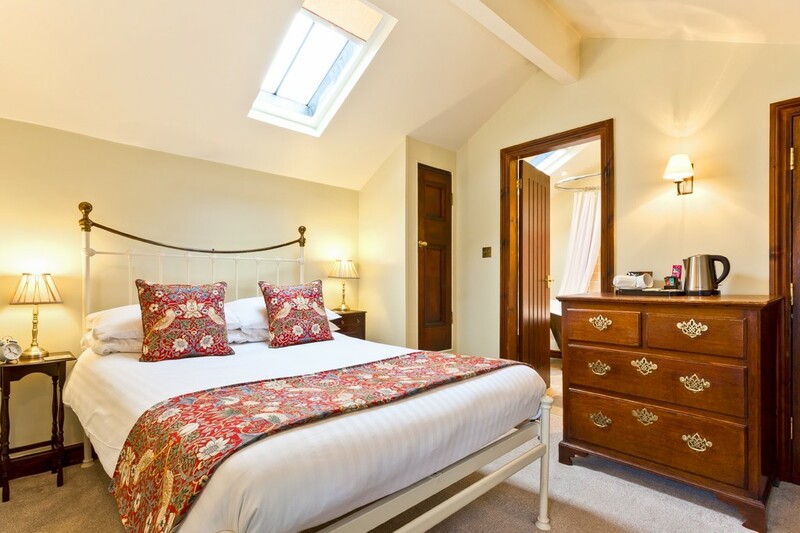 Business Rates / Council Tax Band The Guesthouse has a rateable value of £4,300 which if payable in full would amount to £2111.30 for the year 2019/20. 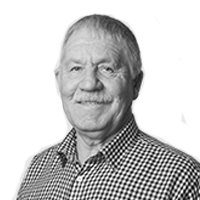 However the current owners benefit from Small Business rate Relief and so no charge is levied. 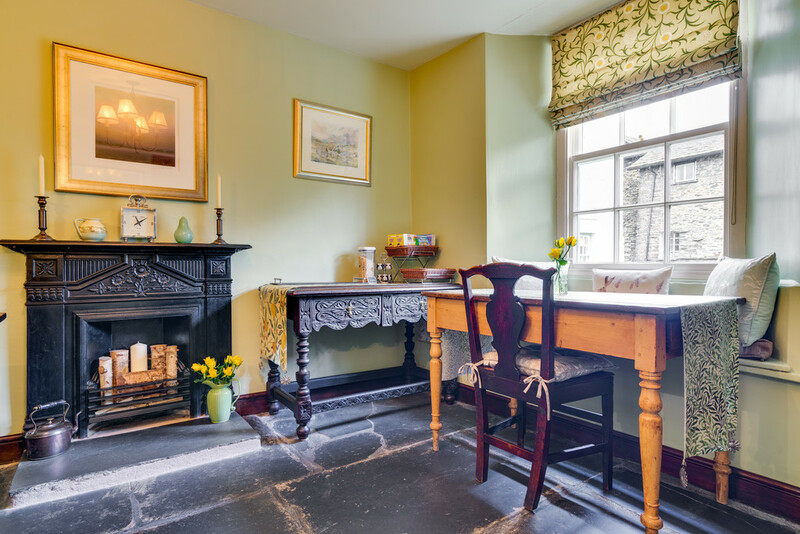 The owners accommodation is Band A – South Lakeland District Council. 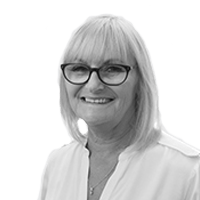 Viewings Strictly by appointment with Hackney & Leigh, Rydal Road, Ambleside, Telephone 015394 32800. 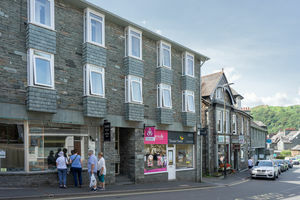 Superbly placed in the heart of Ambleside this delightful purpose built 2 double bedroomed second floor apartment will makes the perfect weekend lock up and leave bolt-hole or permanent home with virtually everything which you could ask for on the doorstep. 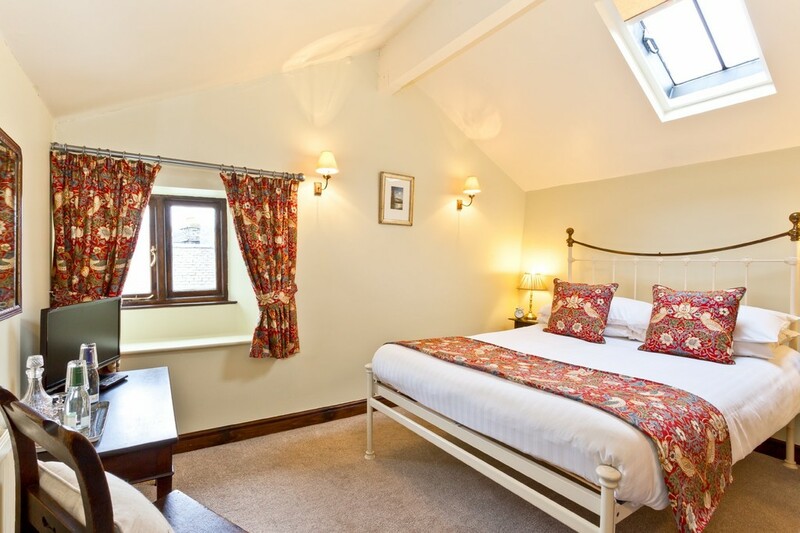 Wonderful walks, restaurants, cinemas, local inns -its all here. 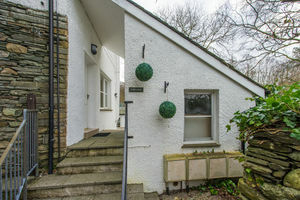 Beautifully tucked away just a few minutes stroll from central Ambleside this lovely west facing 1 bedroomed bungalow style apartment is simply perfect as an easily managed a lock up leave weekend retreat or idyllic holiday let enjoying delightful views.